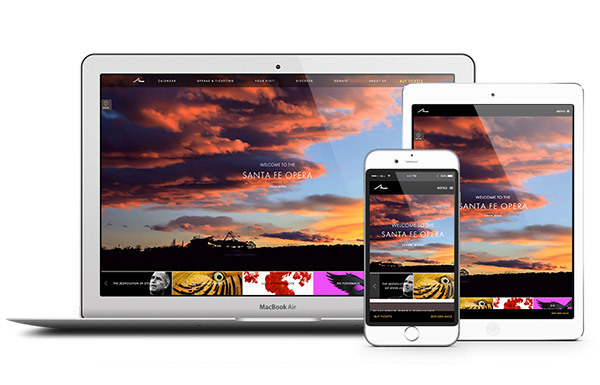 L2 Interactive is pleased to announce the recent launch of The Santa Fe Opera (SFO)’s newly redesigned, fully custom Tessitura-integrated website. The SFO, located in the northern New Mexico mountains, is recognized as one of the premier summer opera festivals. The fusion of nature and art facilitated by the landscape, expansive facilities, and programming leaves an enduring impression on all who have come to the more than 1,600 performances of nearly 140 different operas given at the SFO. With this in mind, the site redesign focused heavily on taking advantage of the strong image portfolio of the beautiful outdoor performance spaces. Site functionality was driven by the SFO’s unique position as a summer opera festival, with a largely seasonal audience. In addition to traditional customizations to the calendar and ticket purchase path, L2 developed tools that help the audience to plan their evenings at the opera, add performance enhancements, and navigate the facilities. 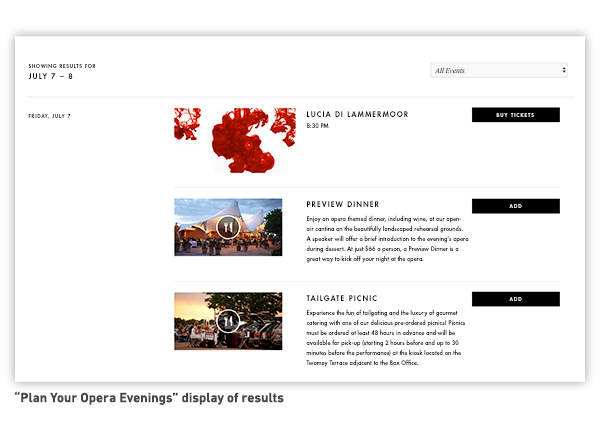 The “Plan Your Opera Evenings” tool enables patrons to enter their arrival and departure dates to see which performances and enhancements are available during their visit. Search results display everything necessary for patrons to plan their entire outing to the opera on a day-by-day breakdown. Nested within the homepage and on all pages under “Your Visit,” patrons can access this and obtain their results with ease. Results can also be filtered by performance enhancements, special events, and opera productions to further narrow the selection. The SFO has devised a unique and easy-to-use way for patrons to enrich their experience at the opera through performance enhancements. 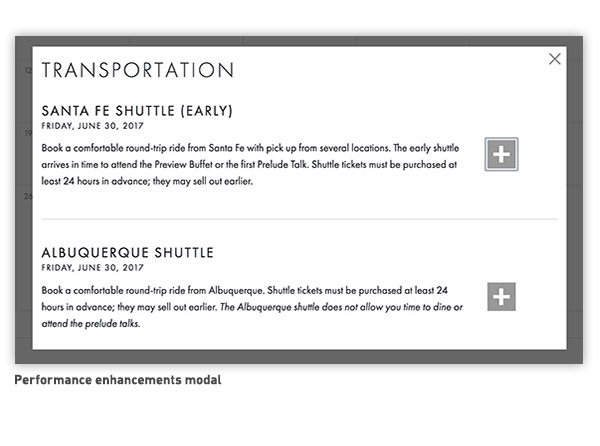 Performance enhancements may include round-trip transportation booking to-and-from Albuquerque or Santa Fe hotels, special events associated with opera performances, and dining packages. 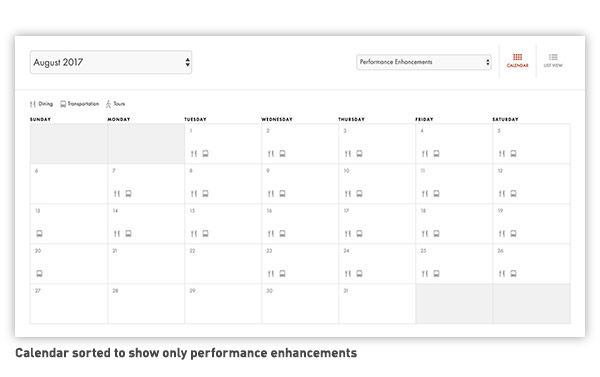 Opportunities to add performance enhancements are seamlessly integrated into the user experience, through the “Plan Your Opera Evenings” tool, calendar, and ticket purchase path. 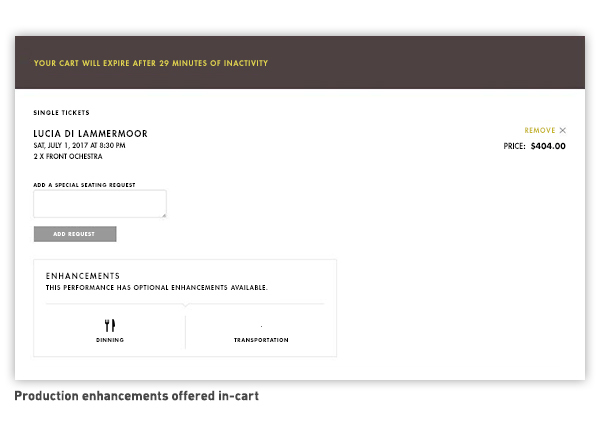 At each point, the enhancements are brought up in a modal, keeping patrons engaged in the ticket purchase process. Both the month view and the list view of the calendar are filterable by performance enhancements, special events, and opera productions, allowing the patron to explore which performance enhancements are offered throughout the month. 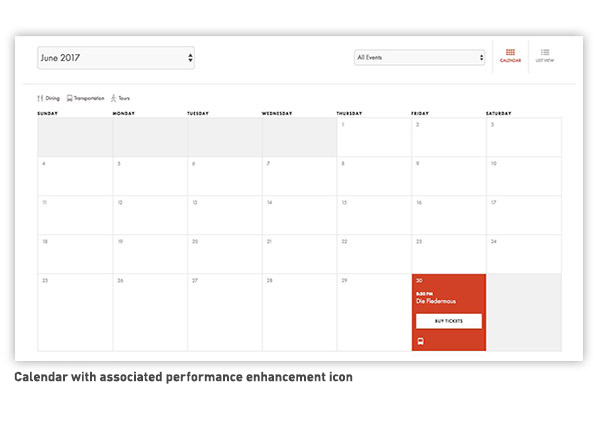 Clicking on a performance enhancement icon on the calendar automatically links to its associated date. Once in the ticket purchase path, the patron is offered additional opportunities to add performance enhancements. 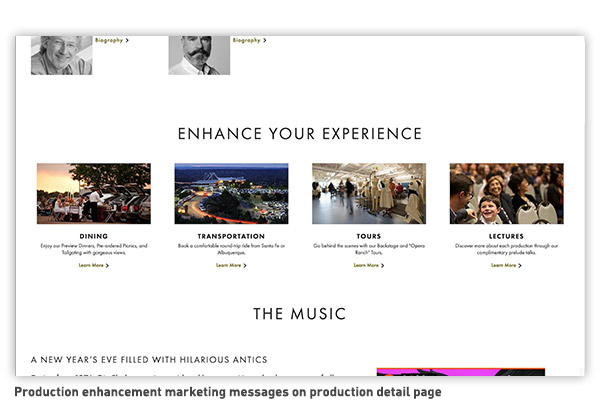 The production detail page directs patrons to enhancement information available for the run of the production. Finally, performance enhancements are offered in the cart just prior to check-out.